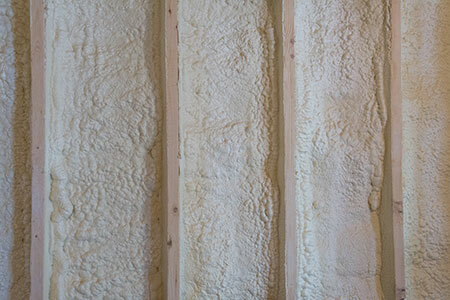 Home insulation experts offering spray foam, cellulose, basement, and blown in insulation services. Contact us today to start saving money. 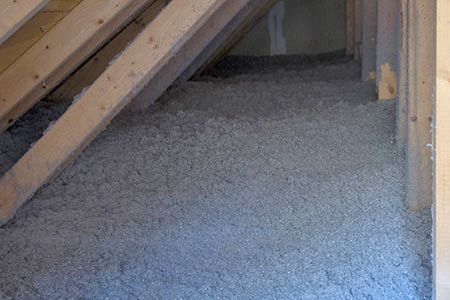 Cellulose – Cellulose is a great insulation material with a high R-value. It’s treated against fire, mold and pests as well as being made from recycled material. We can work in new or existing structures and we’ll help you choose the most cost-effective and non-invasive methods to meet your insulation needs. 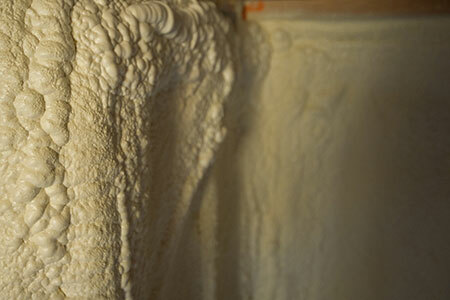 Spray Foam – Sometimes cellulose isn’t the best option. Damp basements, rim boards and some wall cavities are best insulated using this amazing spray-on foam. With high R-value, an ability to expand into a space and airtightness, we’ll advise you on which insulation is best for you. New England’s weather requires buildings to have a higher standard for insulation than many other parts of the country. With decades of building and contracting experience, we saw firsthand how poorly fiberglass insulation performs—leading to lost money, less comfort and wasted energy resources. Building Performance Institute certified and focused exclusively on insulating homes and businesses, we are the most trusted name in insulation. Contact us today to start saving money. Chad loading cellulose into hopper. Properly air sealing an attic. Cellulose insulation in an attic. Removing siding before installing insulation. 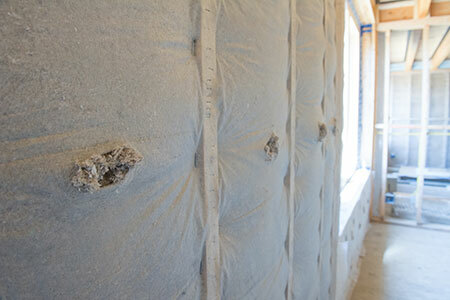 Cellulose insulation in a wall. Diagnostic Testing – We have the tools and expertise to identify problems in your home or building. We use a blower door test and infrared camera to find where you’re losing your energy dollars. During the inspection, we also check for moisture and basic structural integrity to make the best choices for you and your building’s overall health. Indow® Windows – We are a certified Indow® Window dealer. These are interior windows that are nearly invisible, require no hardware, do not damage the window frames or trim, and double your windows’ energy efficiency. Financing – We offer 12 Months Same-As-Cash financing through Enerbank as well as a variety of longer term loans with excellent rates through Efficiency Vermont's Heat Saver Loan program. For more information see our handout. You can apply on-line for an Efficiency Vermont Heat Saver Loan at vsecu.com/heatsaver.